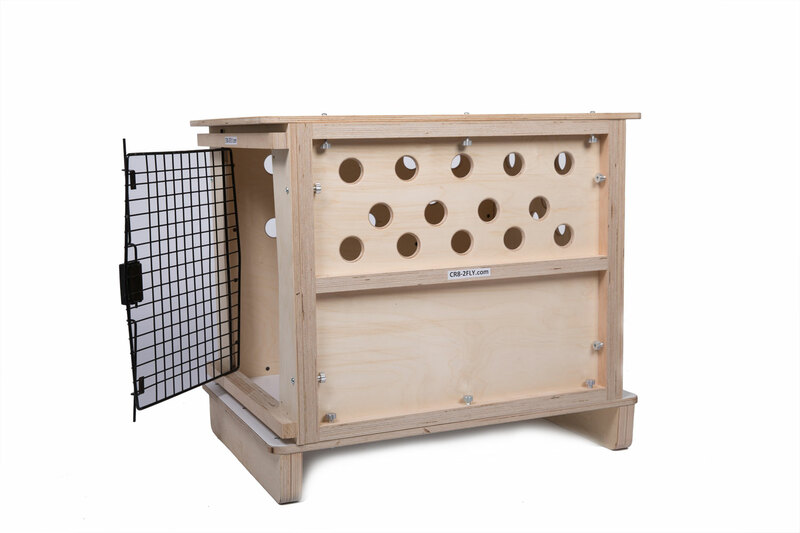 Cr8-2Fly® Wood Crates for Traveling Pets - 250 size (patent pending) are Perfect for Dog shows, Grooming table, End Table Furniture, and House Training. DO NOT PURCHASE UNTIL YOU HAVE MEASURED YOUR DOG. 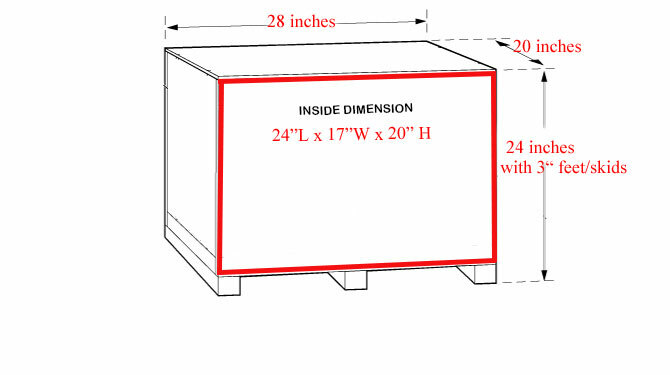 ONCE MEASURED, CONFIRMED THE DOG WILL FIT WITHIN THE INSIDE DIMENSIONS. The Door is made of 100% Stainless Steel with spring loaded latching system. Built In Pallet Feet that are removable if needed.